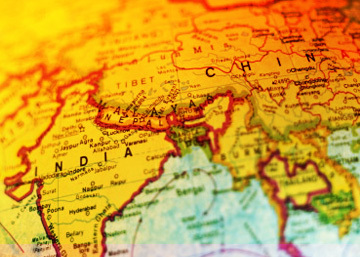 India and China: A Cross-Cultural Perspective | Fourth Dimension Inc. Both in character and geography, India and China are like twin brothers. Former President, Universities Association, Peking. We are repeatedly told by economic pundits that India and China are likely to be the future economic superpowers of the world. And recently, these two great Asiatic neighbours, putting behind their past animosities and conflicts, have been trying to build a close and more friendly relationship. If these positive trends continue, the growing economic might of India and China, coming together, may well herald the Asiatic Millenium. But what next? Is economic prosperity the highest aim of these two great Asiatic nations? They have to do something much more for the world than creating wealth. But to understand this higher potential of India and China we have to examine their history and culture in a broader perspective. 1. Wisdom-Nations: Nations that sought for a timeless wisdom beyond the mundane interests. 2. The Sattwic Civilization: Civilizations that cultivated the higher nature in man. 3. The Twin Powers of the Spiritual Genius of Asia: seeking for the transcended beyond and the immanent within. 4. Stars of the Future: Relevance of the Indian and Chinese Wisdom for the present and future world. The Indian and Chinese civilisations were well known for their deep, subtle and profound philosophic, ethical and spiritual wisdom which was expressed not only in their thought, literature and religion but also in their art and social organisation. The thinking and creative mind of ancient India and China sought always for a timeless wisdom which transcends the transient needs, interest and desires of the world. As a result, the cultural heritage of India and China contains a treasure house of higher knowledge, which can lead humanity to its highest and lasting well-being and fulfilment. Now the question is, should the lands of Buddha and Krishna, Lao-tse and Confucius and their immortal wisdom which can redeem the world remain satisfied with a few billion dollars? This does not mean we are underrating the present economic achievements of India and China or endorsing an ascetic rejection of economic goals. The vexing economic and developmental problems like poverty, unemployment, inequality, malnutrition, growth, illiteracy and population remain still unsolved in India and to a lesser extent in China. They have to learn and master the science, technology and ethics of creating, distributing and using wealth for sustaining the material well-being of their huge and growing population. They are at present engaged in this task and doing it well, especially in creating wealth, though less successfully in distributing wealth. Hopefully, in a not-too-distant future India and China may be able to find a satisfactory solution to their economic problems and become two of the most prosperous, healthy and literate nations of the world. This is a difficult achievement for large and populous nations like India and China but not impossible. However, Asiatic nations, especially China and India which represent the twin powers of the Asiatic genius, should not remain content with economic success only. For the real wealth of India and China is not the wealth of dollars but the wealth of wisdom lying untapped in their ancient cultures. The true genius and mission of India and China lies not in creating hard, material wealth but in manifesting the soft intangible wisdom which can steer the moral, cultural and spiritual progress of humanity. This brings us to the question: what precisely are the common and distinctive features of the cultural and spiritual genius of India and China? Among the great civilisations of the world, only India and China cultivated to the highest measure the higher nature in man and made a conscious attempt to build a civilisation based on or governed by this higher self in man. The nature of this higher self is called Jen in Confucian philosophy of China and Sattwa in Indian thought. The Jen in Chinese philosophy is the inner source of all mental, moral and spiritual virtues in man; it is the deeper and inner state of goodness from which flows all higher virtues like light from the Sun. The Indian concept of Sattwa has a more or less similar connotation. Human nature, according to ancient Indian psychology, is made of three qualities: Tamas, Rajas and Sattwa which can be roughly translated as Inertia, Dynamism and Luminosity. Tamas is the quality of physical nature in man. Inertia, sloth, ignorance and an uncreative, mechanical and tradition-bound routine are the manifestations of Tamas. Rajas is the quality of the vital, emotional, sensational and dynamic nature in man. Energy and enthusiasm, desire, ambition and passion, quest for power, wealth, enjoyment, achievement and expansion are the manifestations of Rajas. Sattwa is the quality of the higher nature in man, made of his ideal, ethical and aesthetic intelligence. Peace and tranquility, harmony and balance, clarity of knowledge, sensitivity to higher values like truth, beauty and goodness and openness to the eternal and universal truths of the Spirit are the manifestations of Sattwa. In the human being it is the quality of Sattwa which brings man closer to his spiritual self; it is the transparent channel through which the light of the Spirit can enter and irradiate human nature and life. Sattwa is part of human nature and therefore present in all individuals and communities. But in some individuals or communities, Sattwa may predominate over the other two qualities. So those nations or civilisations which consciously cultivate Sattwa and make it the governing factor of life, to the extent to which they are able to do it, share in the immortal nature of the Spirit which is the source of everlasting stability, continuity and endurance. Among world-civilisations, India and China cherished Sattwa and made the attempt to create a society governed by Sattwa, which is the secret of their stability and endurance. This is reflected in the social hierarchy of ancient India and China, with the Sattwic man, the scholar, thinker, and the sage, occupying the highest position. The Indian or Chinese civilisations might not have succeeded entirely in their attempt in governing life by Sattwa. But the very fact that they made the attempt sets them apart from other nations. So as Sri Aurobindo sums up “Sattwa is present indeed in all communities… but as a conscious governing strength, it exists only in India and China.”(1) Spiritual aspiration grows spontaneously in a soil cultivated with Sattwa. This brings us to the question what are the unique and distinctive features of Indian and Chinese spirituality. There are two aspects or dimensions to the eternal Spirit. First is the transcendent dimension which originates and supports Earth and Heaven, Men and Gods, World and Nature, Space and Time, by standing above them in a timeless freedom, repose and stability. The second is the immanent dimension which dwells within Man and Nature and Space and Time, as a subtle Presence, flows with their energy and constitutes the dynamic unity, harmony and law that holds together the cosmic whole. The type of religion or spirituality which pursues the Transcendent tends to be distinctly mystical, contemplative and otherworldly and sometimes world-denying. On the other hand, those religions or traditions which pursue the Immanent tend to be this worldly or world-embracing, earthly and active. Here comes the difference between the Indian and Chinese spirituality. The Indian spirituality tends towards the Transcendent and that of the Chinese towards the Immanent, not exclusively but predominantly. India and China as the twin powers of the Asiatic spiritual genius, have to spearhead this spiritual advance of humanity. The ancient Indian and Chinese philosophy and spirituality can immensely deepen and broaden the horizons of the modern mind in every field of its thought and life especially in religion, psychology, health, art and education. This is already happening. Many of the influential movements of the modern age like Transcendentalism in America, Theosophy, New-Age cults, new schools of psychology, body-mind medicine, alternative therapies, philosophical speculations that grew around the New Physics are inspired either directly or indirectly by Indian and Chinese thought like Vedanta, Buddhism, Yoga, Taoism and the new craze in the west for Tai-Chi. But all this has happened without the active support of the intellectual and political establishment of modern India and China which remained mostly hostile or indifferent or neutral to the spiritual paradigm. It will be a golden day for the future of humanity, when there is a positive change in the intellectual and political climate of modern India and China and more and more of the young, creative and thinking minds of these two giants of Asia take interest in their cultural and spiritual treasures. This will herald the second phase of the Asiatic Millenium, after the economic resurgence, the spiritual renaissance of Asia.